You are bidding on a 1968 Native American Indian motif painting on rabbit hide. 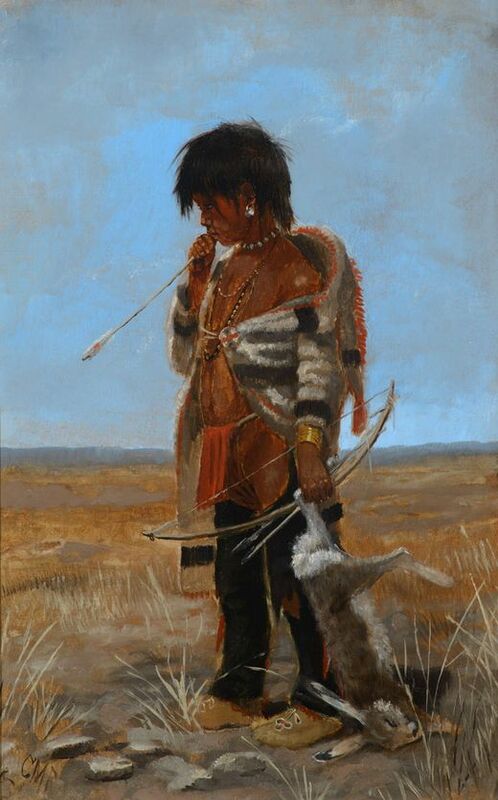 This is a framed rabbit hide painting by Stanley Harrison. It shows a Native American Indian sitting or kneeling with arms outstretched in front of a buffalo skull. There is also a spear head marked "Buffalo All Gone", as well as a crow flying in the background. This framed painting shows good condition and measures 24.5" x 16".